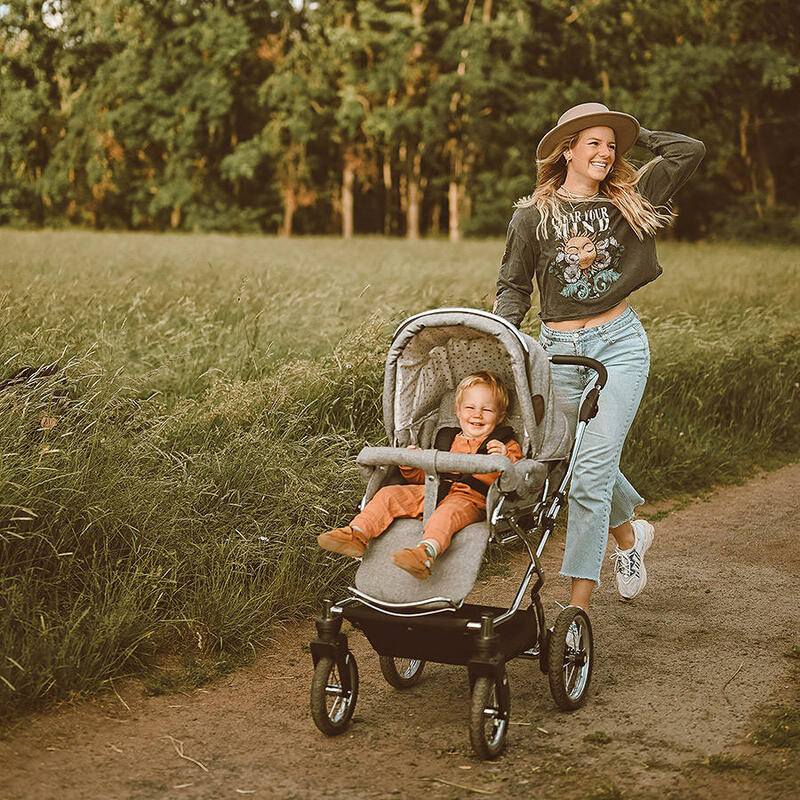 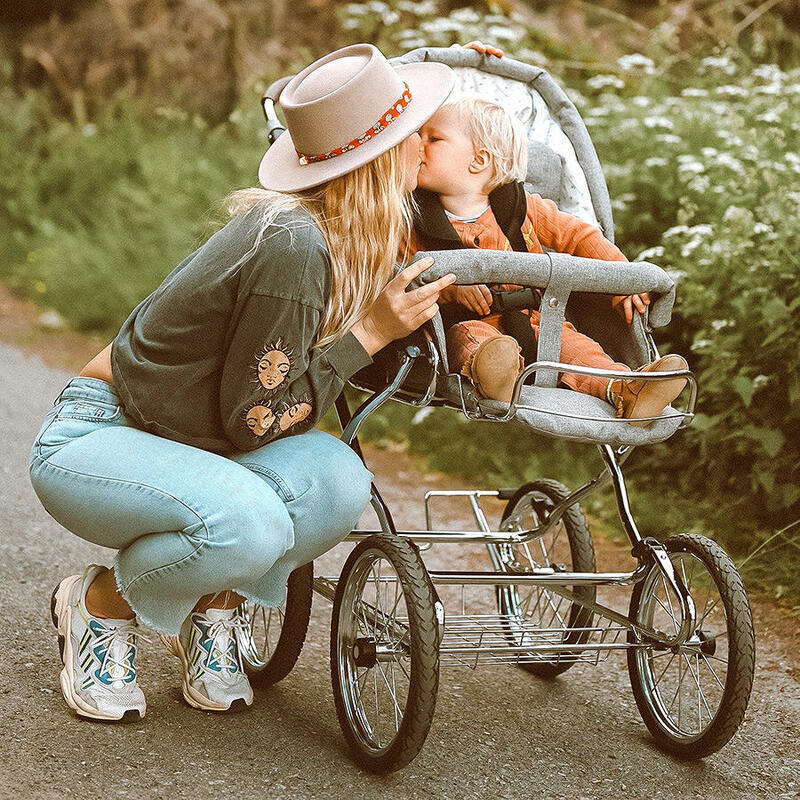 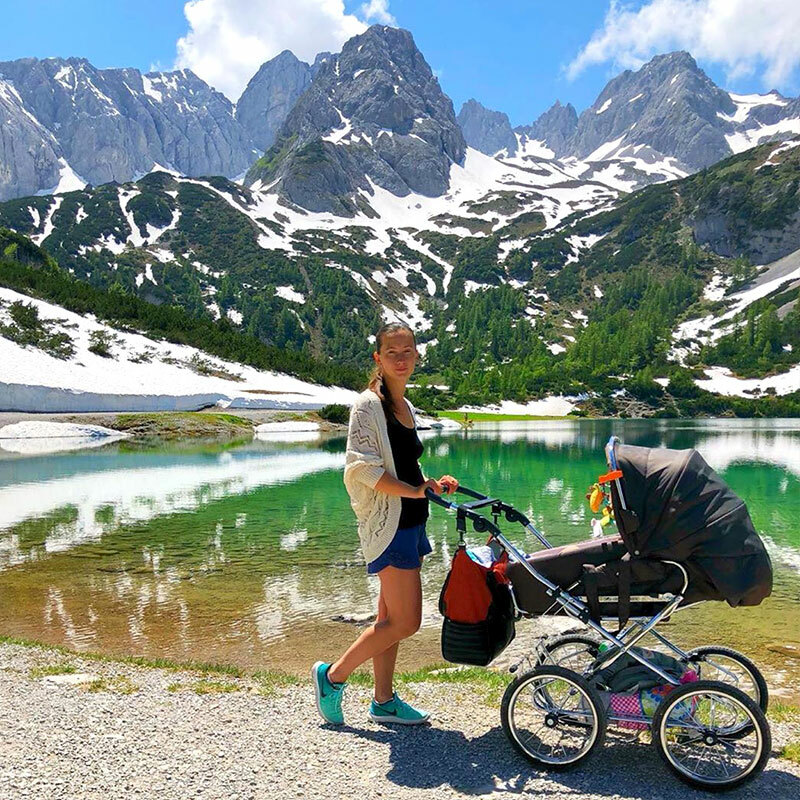 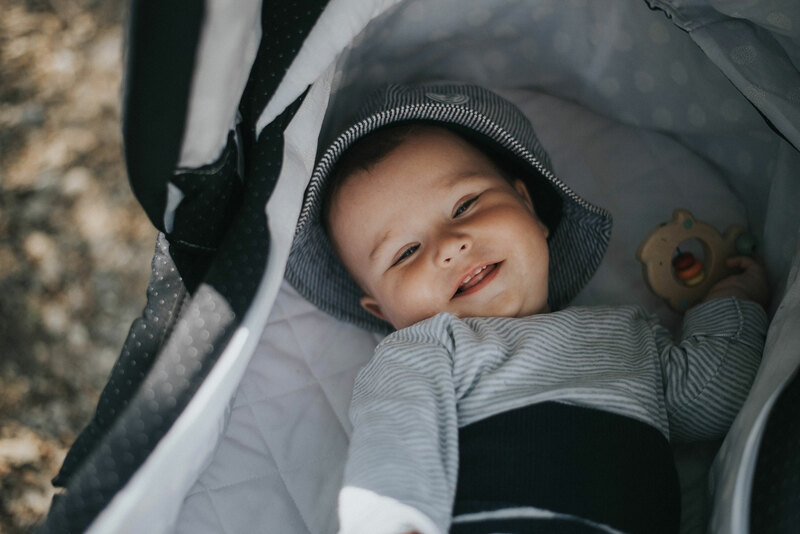 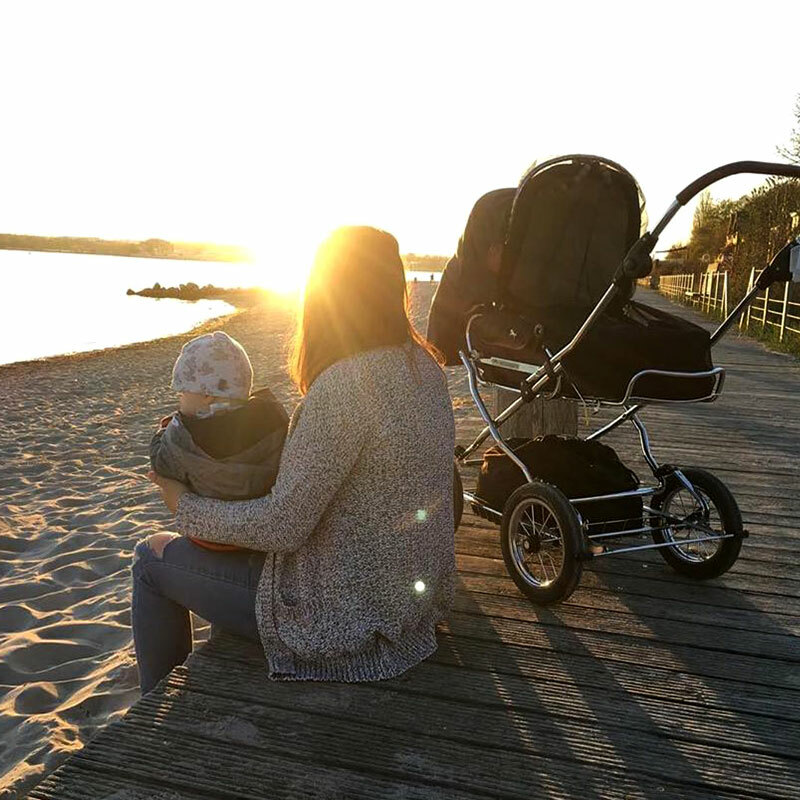 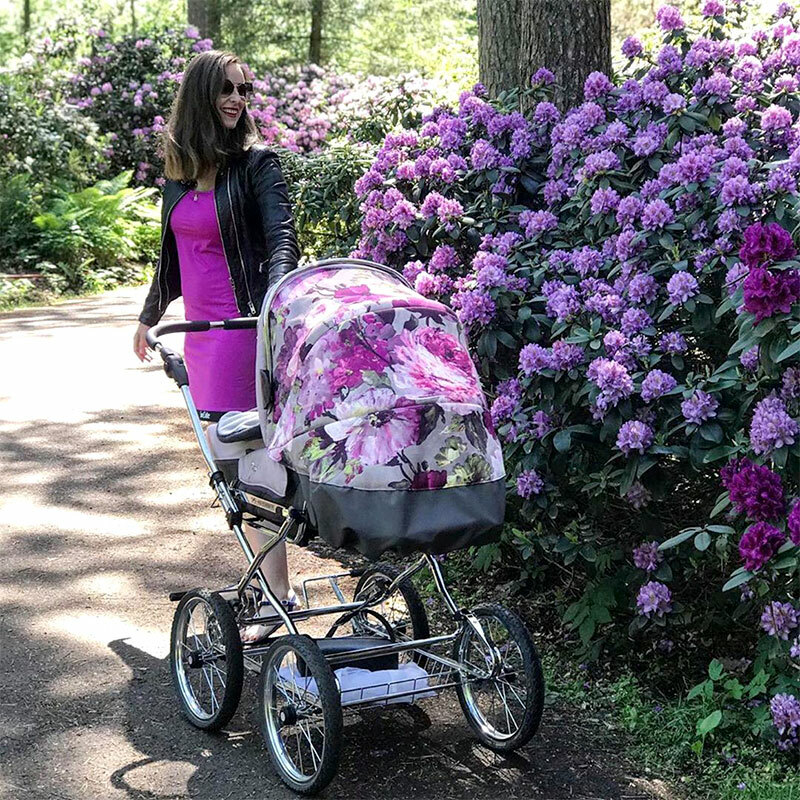 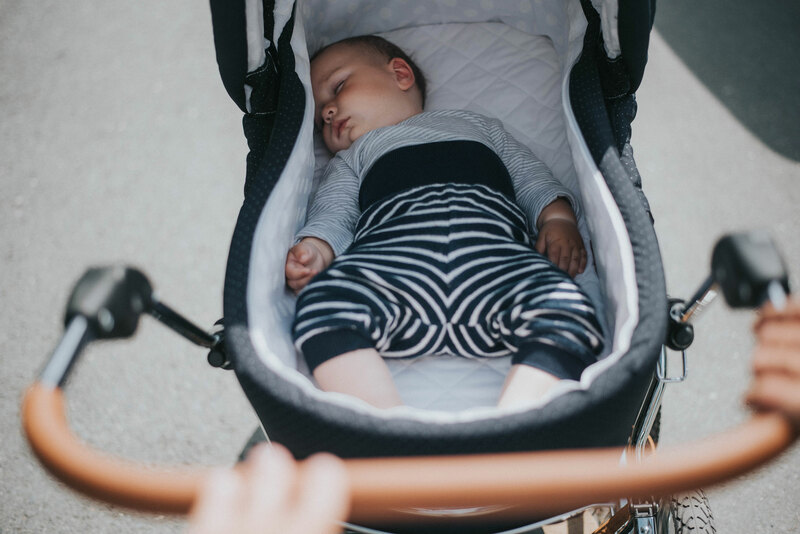 Get to know our timelessly beautiful, particularly versatile combination prams and allow yourself to be convinced by the numerous advantages: Our comfortable suspension, the removable lightweight carrycot or the high-quality, stable construction will inspire you. 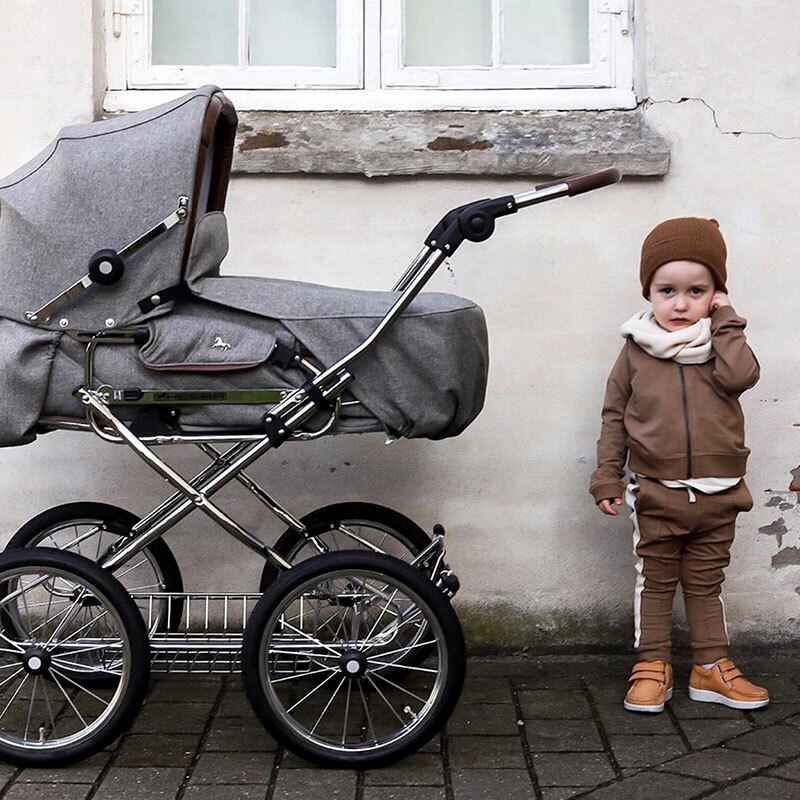 The elegant design of our different models allows you to give your own personality by choosing from a variety of different interior and exterior fabrics in different colour combinations. 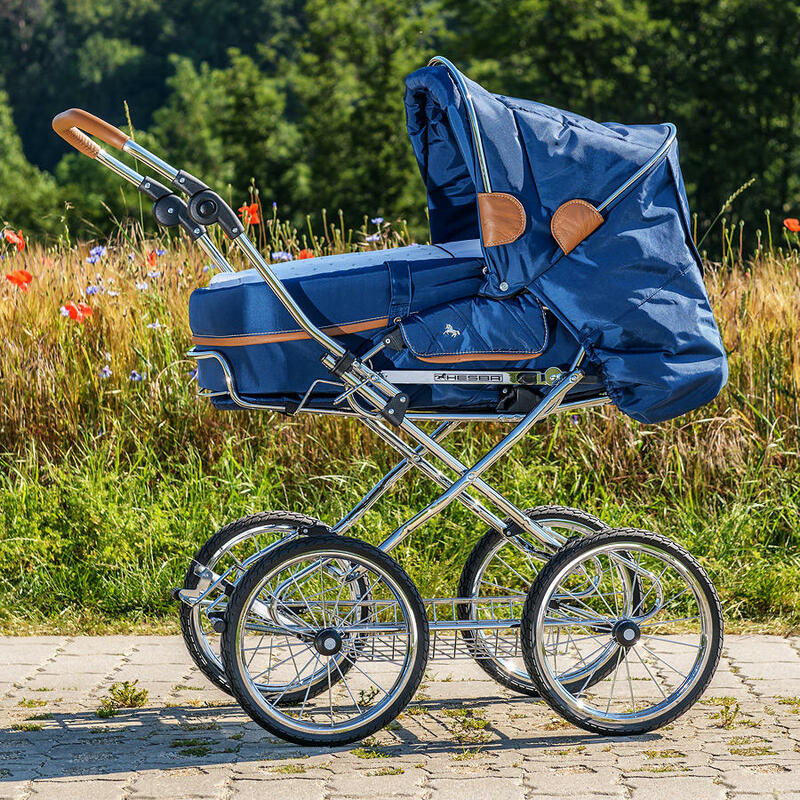 Here you can find out more about our combination prams. 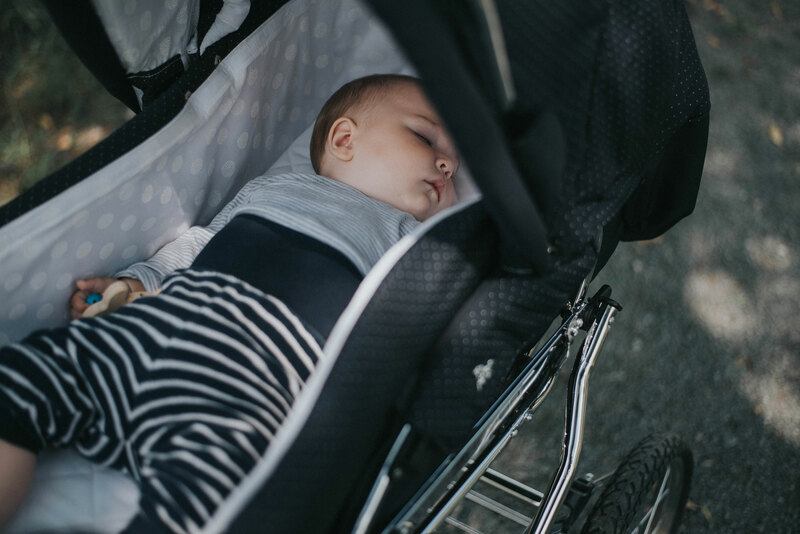 Our four pram types differ in their different covers. 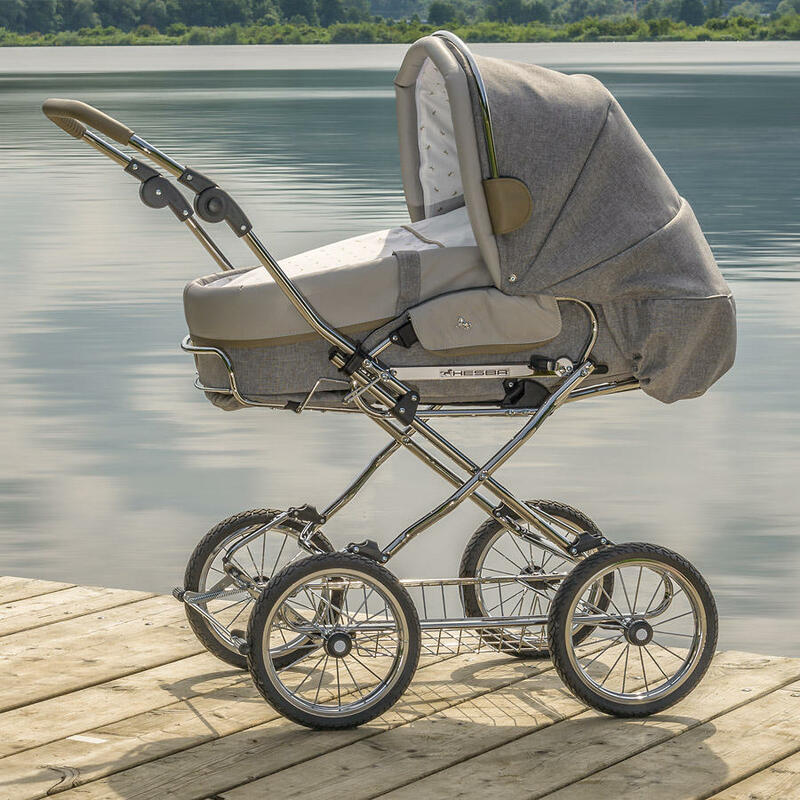 Our latest model „ClassicA“ also has its own built-in tub. 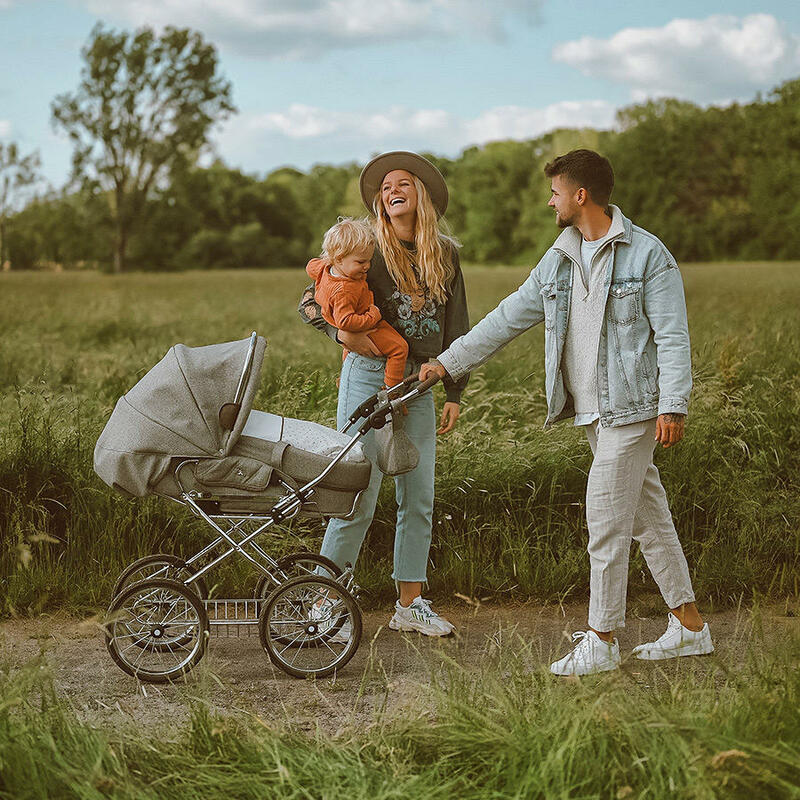 As a result we offer you a large variety, both visually attractive and functional, to find the perfect pram for you that suits your family and your requirements best. 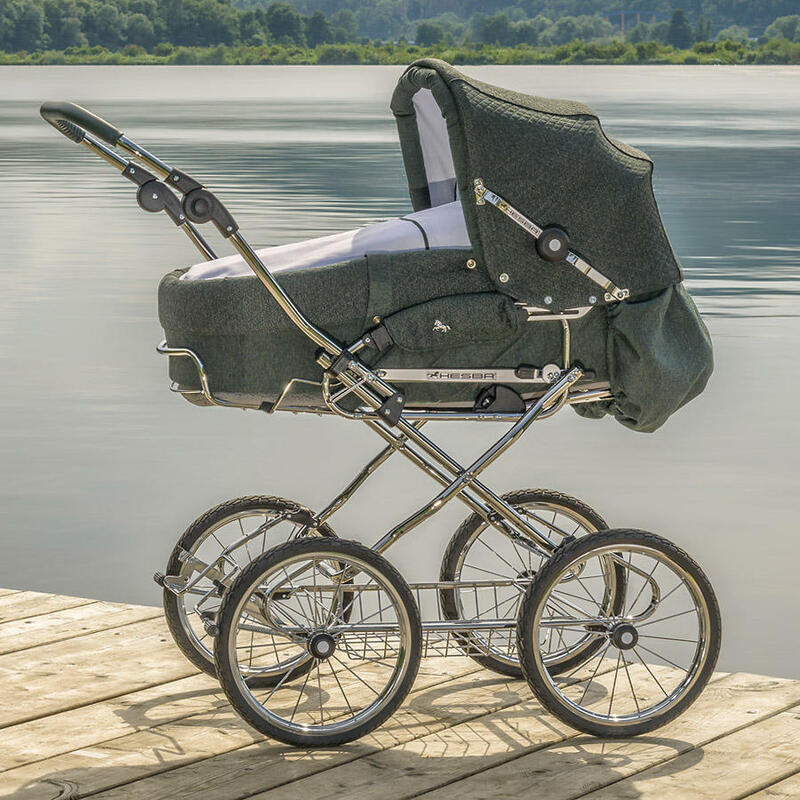 Be inspired by our numerous happy customers and their individually arranged Hesba pram. 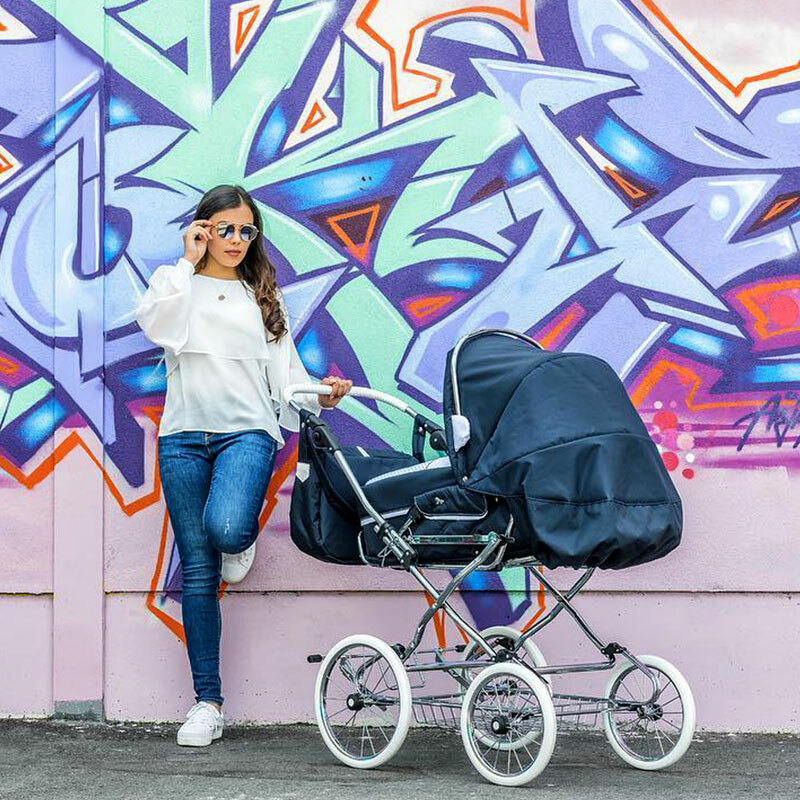 Visit us on our Instagram channel – You may already find your dream pram or a nice combination which you would like to add your own touch. 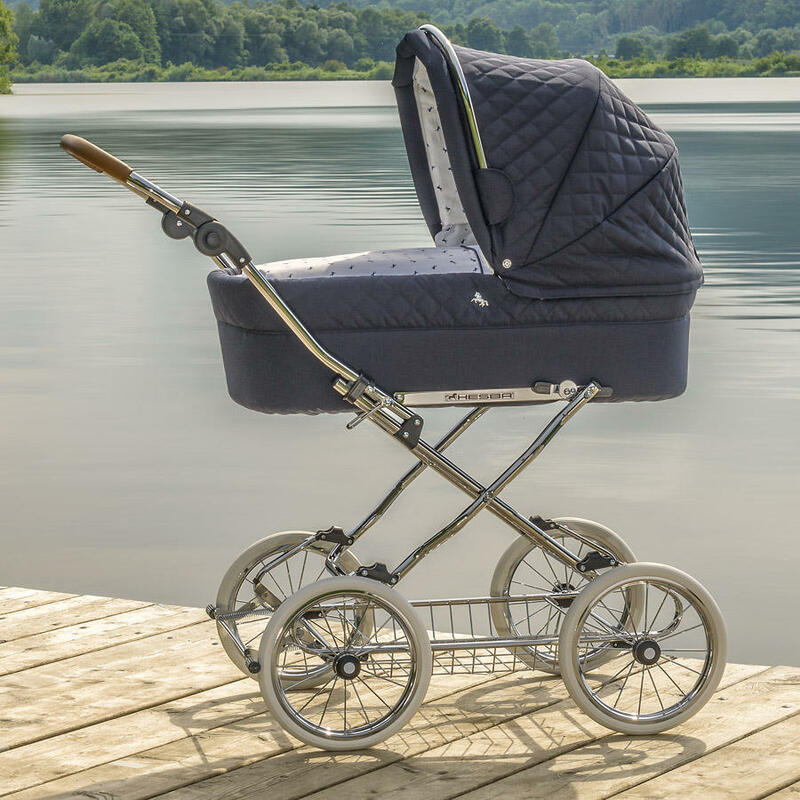 Our Hesba combination prams are manufactured in loving handicraft with a lot of experience and commitment of our 20 employees. 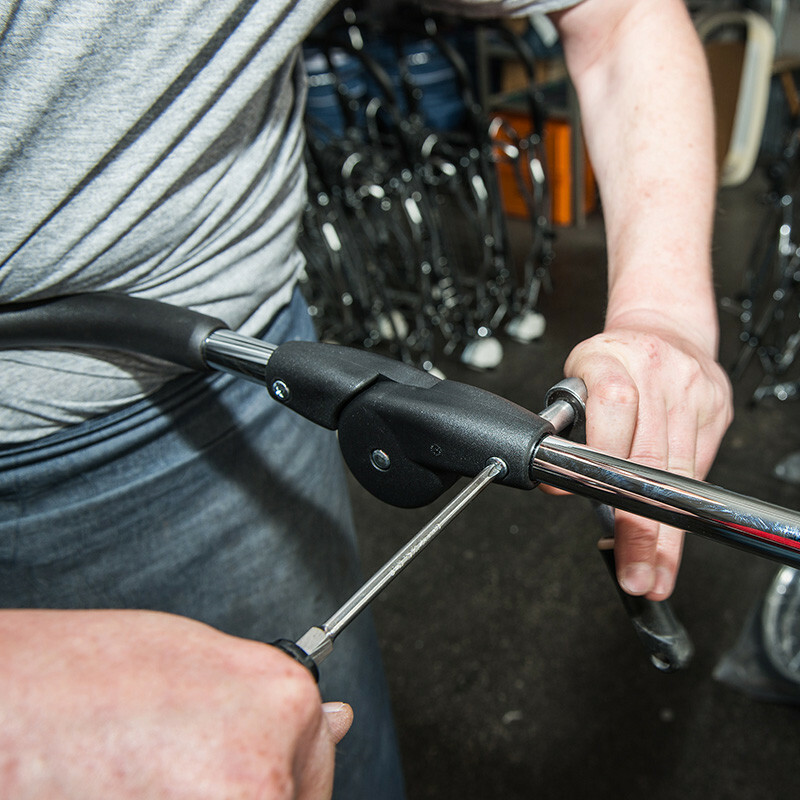 Since the founding of the company in 1925 we have been producing exclusively in our factory in Marktgraitz Upper Franconia. 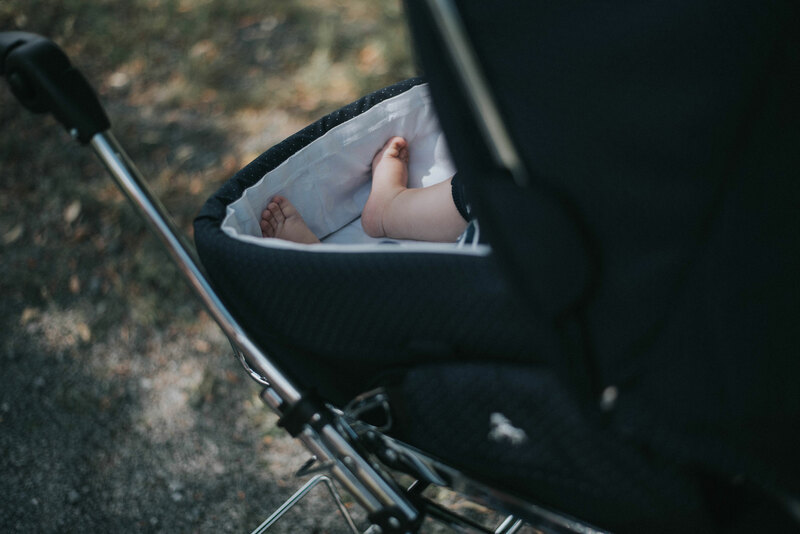 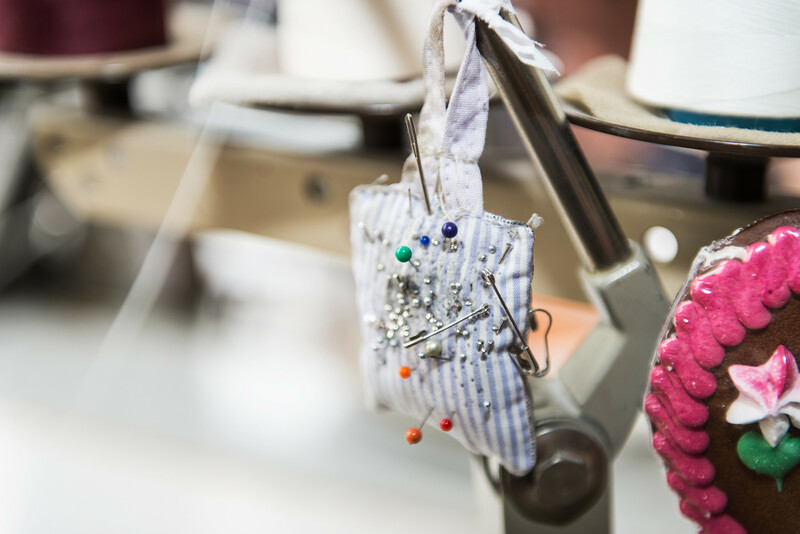 Initially baskets and doll’s prams were manufactured, and later on the first prams which have developed steadily to today’s combination prams.